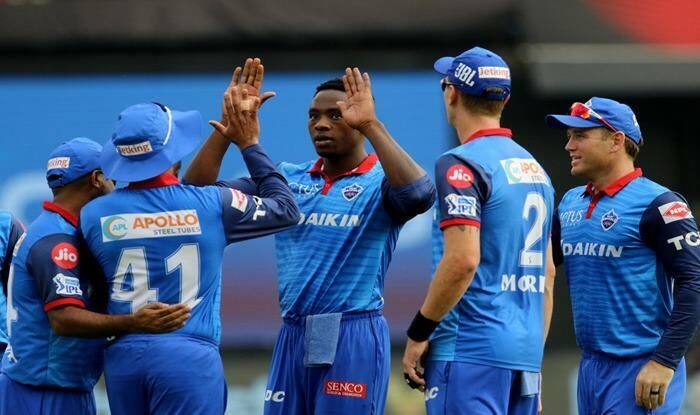 South Africa paceman Kagiso Rabada (4/21) accounted for four RCB batsmen to lead Delhi's bowling attack in match 20 of IPL against Delhi. Chasing 150 to win, Iyer forged a 68-run partnership with opener Prithvi Shaw (28) after Shikhar Dhawan was dismissed by Tim Southee in the third ball of the innings. In the 9th over, Pawan Negi removed Shaw after the batsman top-edged a delivery and was caught at deep square leg by Akshdeep Nath. Iyer then shared 39 runs with Colin Ingram (22), who blasted two fours and a six in his 21-ball stay before being trapped by Moeen Ali in the 14th over while trying to play a shot over the leg side. With just five runs needed, Delhi survived some anxious moment after losing Chris Morris (0) and Pant — both trying to clear the in-field and perishing in the process. Axar Patel then smashed a four to take Delhi home. Earlier, Kohli played an uncharacteristic sedate knock. Ishant Sharma was economical upfront, while Chris Morris was a bit expensive though he sent back Parthiv Patel (9), who slogged hard at a widish delivery and found Sandeep Lamichhane on the boundary ropes. Kohli was still there but the runs came only in one and twos. In nine overs, RCB scored just 53. Marcus Stoinis hit only second six of the innings by lofting one from Lamichhane over long-on. Stoinis went after Axar Patel too but ended up giving a catch to Rahul Tewatiya. England all-rounder Ali came to the crease and suddenly batting looked easy. He pulled and drove with ease. Ali spoilt Ishant’s figures, hitting him for a six and a four and also dispatched one from Lamichhane to long-off. The Nepalese spinner, though, had him stumped soon on a googly.